Data Mapping Solutions provides comprehensive GIS services from basic mapping to the development of advanced web-hosted enterprise systems. DMS's systems have enabled telecommunications, utility, energy, real estate, legal firms and other organizations with unparalled presentation and analytic capabilities. Whether locating a business, analyzing land use, determining a route, managing a corridor, inventory or assets, our integrated systems will support your core business processes, workflow and decision making. We'll create, maintain, analyze and distribute your spatial data. On your server or ours, DMS will design and host your website or incorporate custom map pages and data reports to conform to your existing site. We also provide custom application development, data conversion, comprehensive CAD services, scanning, printing and plotting services, technical advice, help with geographic data sources, and GIS archiving services. We support multiple platforms, and can exchange data with other industry standard GIS and mapping formats. Security is not only a technical issue, we incorporate security into all of our processes from document handling to ensure that your information is retained. Our range of services coupled with our expert staff provides the necessary flexibility to meet our client's needs. If your information requirements have a spatial component, we'll tailor our services and technologies to your enterprise. We begin each project - great or small - with a simple yet encompassing question, "What do you need the data to do?" and answer each client with a unique, successful solution that blends innovative technologies with superior service. 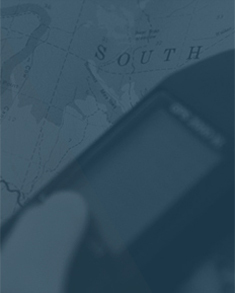 We are committed to maximizing the potential of geospatial technologies to drive value for our clients. Through the integration of people, information and technologies, and rigorous attention to detail and quality, we deliver successful projects on time - within budget.